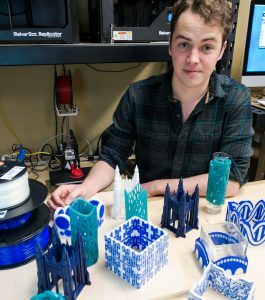 Seniors Kevin Gehsmann and Clark Bulleit used a 3D printer to help develop a protective device for redshirt junior quarterback Daniel Jones! 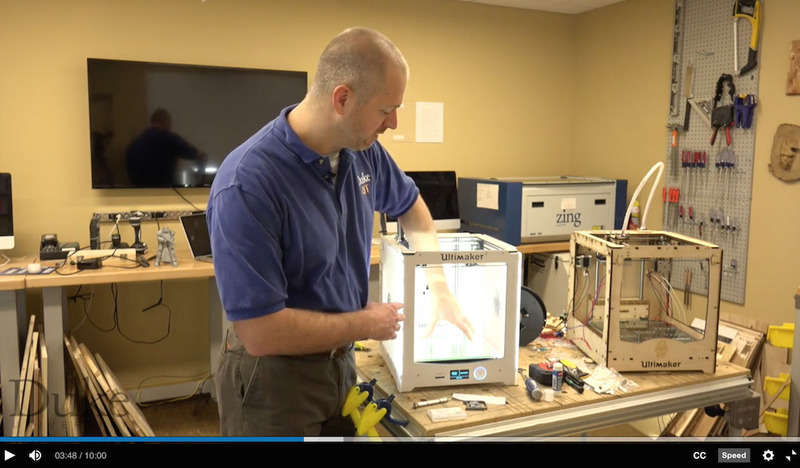 Check out the video below which includes some footage of Chip Bobbert (OIT Digital Media Engineer) being interviewed at the TEC. Also, read this Duke Chronicle article. Happy Holidays from Duke OIT! 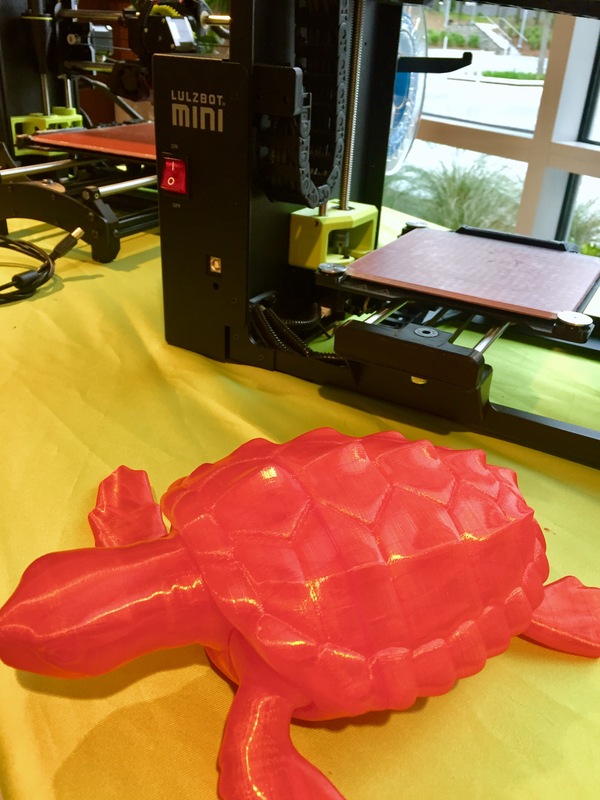 Thanks to Michael Coronado, Lulzbot for sharing! 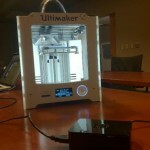 OIT’s “Bluesmith” will configure and print 3D projects for a fee. 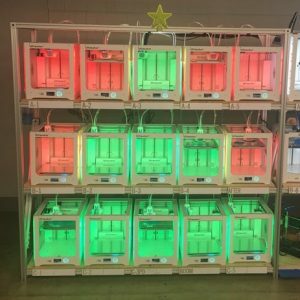 Read the full story on Duke Today: https://today.duke.edu/2017/04/leave-3d-printing-it-experts. Student with 3D Printed objects. Virtual museum brings thousands of digital specimens to your desktop, in 3-D. Read the full article on Duke Today: http://today.duke.edu/2016/02/virtualfossils. 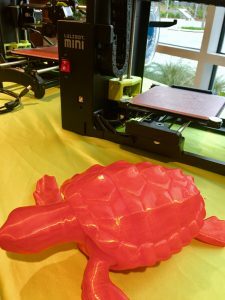 Miss yesterday’s Learn IT @ Lunch session “3D Printing & Digital Fabrication”?Watch the online recording. Note: You may be prompted to update your MS Silverlight Plug-in to be able to view the recording. Session Slides are available in PDF format. 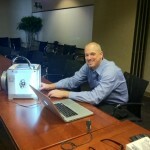 Chip explaining the 3D printing process at Duke. 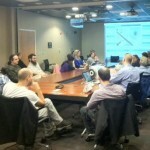 Follow the @DukeOIT Twitter page to see elapsed time videos of cool things being created in the Innovation Studio.